This Chill Out experience will have you feeling your best in no time. Pamper yourself for a day and enjoy a selection of our best selling treatments – a real treat! Package One includes a Back and face therapy, which lasts 50 minutes. 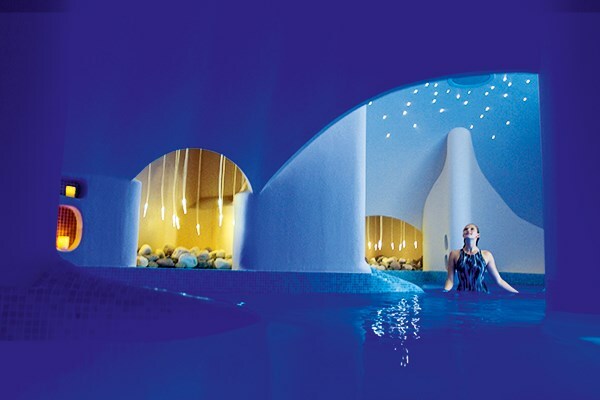 Package two includes a soothing back Massage and fresh feet treatment, both of which last 25 minutes each. You can also enjoy a custom manicure. You may also enjoy a full day &apos;s use of the spa facilities, which include a pool and gym, and you will receive a three course lunch. Your voucher is valid for one person 10 months and includes: Blissful Back and Face Therapy (50 minutes) or a Soothing Back Massage and Fresh Feet Treatment (both 25 minutes), classic manicure, three-course healthy buffet lunch and full access to the spa facilities. You must pre-book a date for your experience. This experience is available Monday-Thursday only, 8.30am-6.00pm. The minimum age is 18. All dates are subject to availability. Inclusive treatments may be subject to change. On booking your day, you will need to choose which treatments you would like.